FEZ was not the only video game experienced that, in 2012, rekindled my passion for what videogames could and should do. 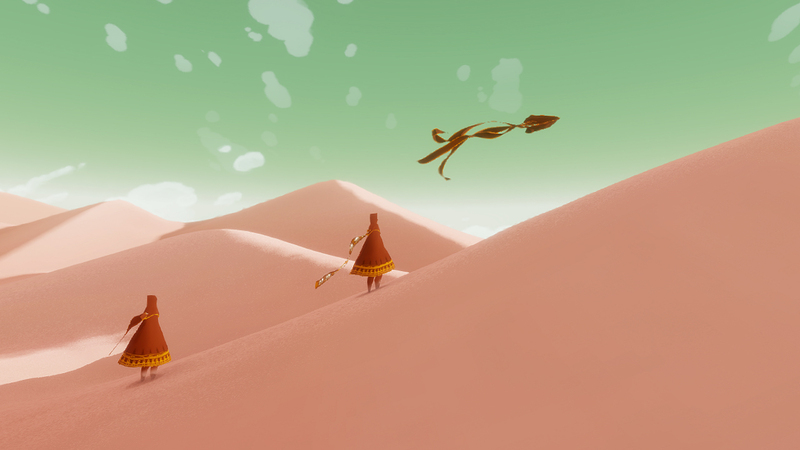 Another one was thatgamecompany’s third game, Journey. Amidst a never-ending stream of FPS or action games, Jounrey felt like a breath of fresh air. Like FEZ, its focus was shifted far away from conflict and spoke to the good parts of gamers. So much so that, despite being an ‘online’ game, I never had any bad experience with a player. Nor did any of the people I know that played the game. When you read weekly how awful people are behaving behind the curtain of relative anonymity, it feels like something that would be impossible to achieve. Yet thatgamecompany did it. The whole experience was so intense that I played through it four or five times now, always coming from it with some new memories. And I am not the only one. 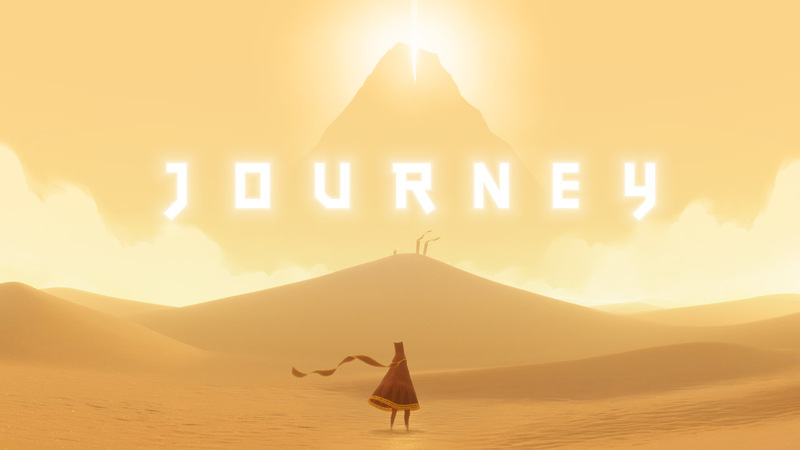 As a gamer, Journey thus got to me. As had thatgamecompany’s previous effort, Flower. But as an aspiring game designer, it did even more. It taught me how you can forgo written words, and not only manage to tell a story, but evoke much emotion with it. It showed me that bigger teams and production values do not have to translate into watered down experience or run-of-the-mill games. And it was a resounding success in using game mechanics to bring the best sides of gamers to the forefront. Perhaps even more tantalizing was the realisation that even after Flower and other ‘artsy’ games (pardon the usage of the word, I do not want to enter the ‘games as art’ debate in this post), this is still pretty much uncharted territory. Everything still needs to be explored in this space. Video games have never been so diverse, yet we only have begun to grasp the extent of their power to inspire, amaze and help us grow. For once, when another player will come, unsolicited, you will not mind, you will share beautiful moments. And that is a marvellous prospect. I hope to, somehow, do my small part in this journey, and if I do, it will be in part thanks to these people making these beautiful, meaningful games. People always trying to, like thatgamecompany’s logo seems to represent, touch something higher, something deeper. For that, thatgamecompany, I cannot thank you enough.